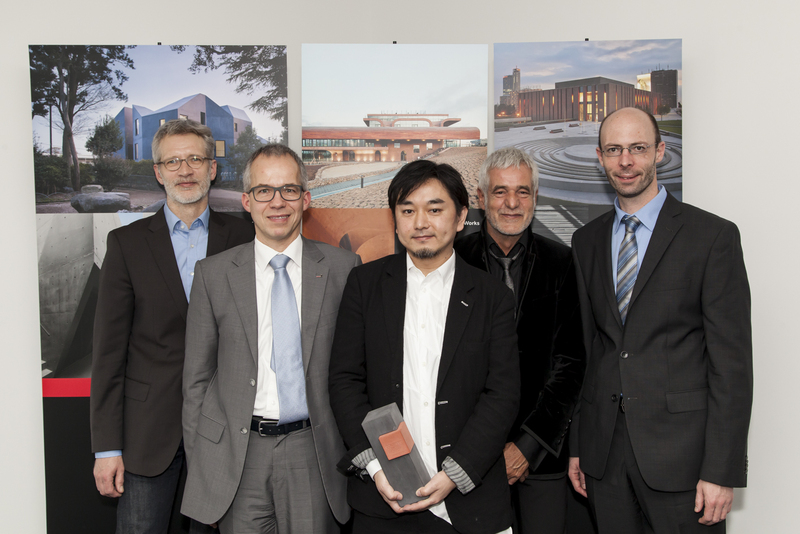 Specialty chemicals company LANXESS presented its second Colored Concrete Works Award on February 26, 2015, in Berlin to an architect who has set new standards in the use of colored concrete. 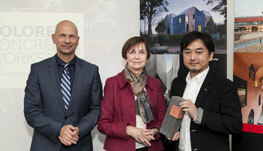 This year’s award went to Akihisa Hirata for his design of the Alp apartment complex in Akabane-Nishi, Tokyo, Japan, completed in March 2010. A total of 425 cubic meters of colored concrete went into the construction project. The desired charcoal shade was provided by Bayferrox 4330/3 iron oxide black pigment. The first Colored Concrete Works Award was given to architect David Chipperfield for his “Ciutat de la Justícia” project in Barcelona, Spain. The LANXESS Inorganic Pigments business unit (IPG) announced the competition worldwide in late 2014. The jury selected “Alp” from among the entries because of its impressive selection of color, functionality and significance. The apartment complex, according to the jury, expresses a deep understanding of the relationship between the natural and the artificial, and it stands in perfect harmony with the urban environment. The members of the international jury were: University professor Ralf Niebergall, Vice President of the German National Association of Architects; Ulrike Kunkel, Editor-in-Chief of the journal “Deutsche Bauzeitung”; and Fermín Vázquez, head of the group of architects b720 Fermín Vazquez Arquitectos. Jury members from IPG: Dr. Carsten Rosenhahn, Head of Product & Business Development, and Thomas Pfeiffer, Vice President Region EMEA. Jörg Hellwig, Senior Vice President of LANXESS’ Inorganic Pigments business unit, presented the award, designed in colored concrete, at the specialty chemical company’s offices in Berlin. “Our Colored Concrete Works initiative is directed at architects and planners, and aims to sharpen their focus on the aesthetic qualities of concrete. 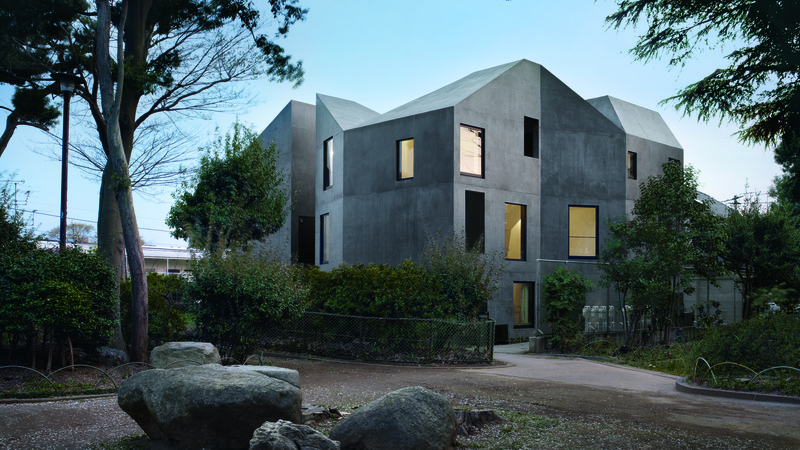 The charcoal-colored building in Japan, the winner of our award this year, is a prime example of how perfectly concrete can be adapted to the landscape and how it can offer a new form of expression as a building material,” Hellwig said in his laudatory speech. Second place this year was awarded to Minsuk Cho, founder of Mass Studies Architects, for the design of the corporate headquarters of Daum Kakao, an IT company in South Korea. Third place went to Tomasz Konior and his architecture firm Konior Studio, for the concert hall of the National Polish Radio Symphony Orchestra in Katowice. 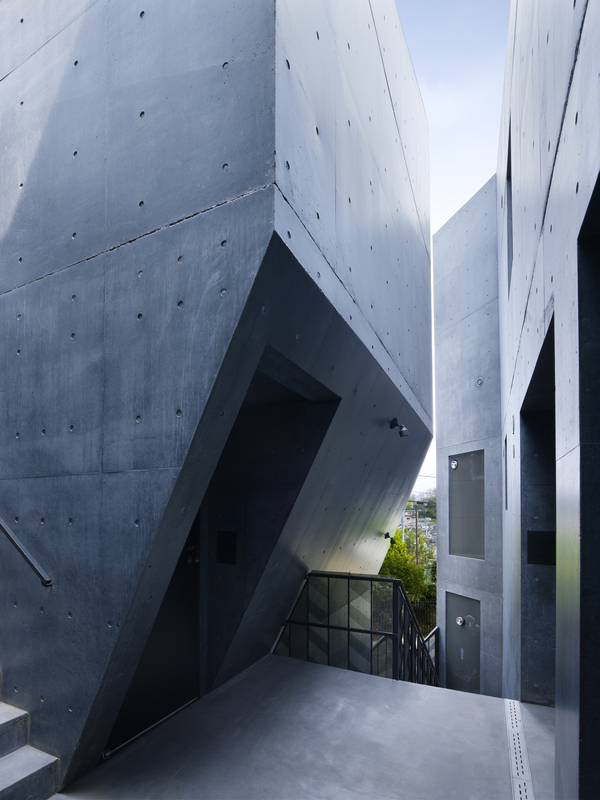 Merely painting the building was not an option for Hirata when it came to his “Alp” project. He felt it was of essential importance to preserve the surface texture and appearance of the concrete, something that would have been impossible with a facade coating. “These considerations prompted the decision in favor of integrally and thus permanently coloring the concrete with Bayferrox-brand pigments from LANXESS,” he concluded. Depending on the quantity of pigment added, these products can achieve a wide range of color nuances and shades. The black shade, which the architect says powerfully expresses the potential of the building site, was created specifically for the apartment complex using Bayferrox 4330/3. Located in the heart of the city, the apartment complex is influenced by the natural hills surrounding it. The buildings stand close together, supporting roofs of varying styles and sizes. “The site has the look of a place where you could expect at any time to encounter archaeologists on a dig,” Hirata explains. He abstracted this special topography for his design with the goal of creating a new kind of harmony between the apartment complex and its urban environment. Because a large cubic object would not have fit in here, a building with fractal structures and both concave and convex surfaces was designed. The integrally colored concrete has the appearance of charcoal. Akihisa Hirata, born in Osaka in 1971, received his degree from the Architecture Department of the Engineering Faculty at Kyoto University in 1994, and earned his master’s degree from the Graduate School of Engineering in 1997. 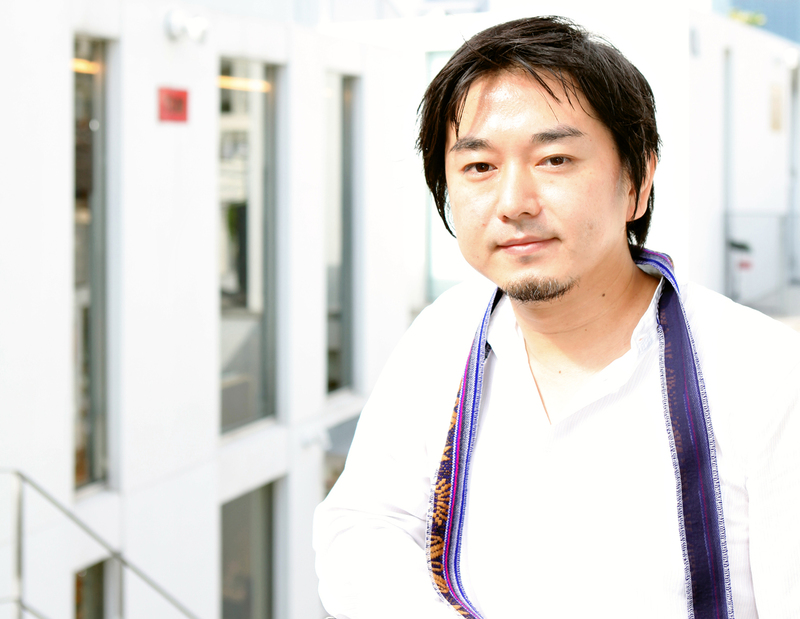 The recipient of numerous awards, Hirata established his own architecture firm in 2005, and is a national and international guest lecturer. His most significant works apart from “Alp” include the “Masuya Honten Building” (2006), “Bloomberg Pavilion” (2011) and “Kotoriku” (2014). LANXESS is the world’s largest manufacturer of iron oxide pigments and a leading producer of chrome oxides pigments. They have been used successfully for decades in a wide range of applications to color construction materials, paints and coatings, as well as plastics and paper. 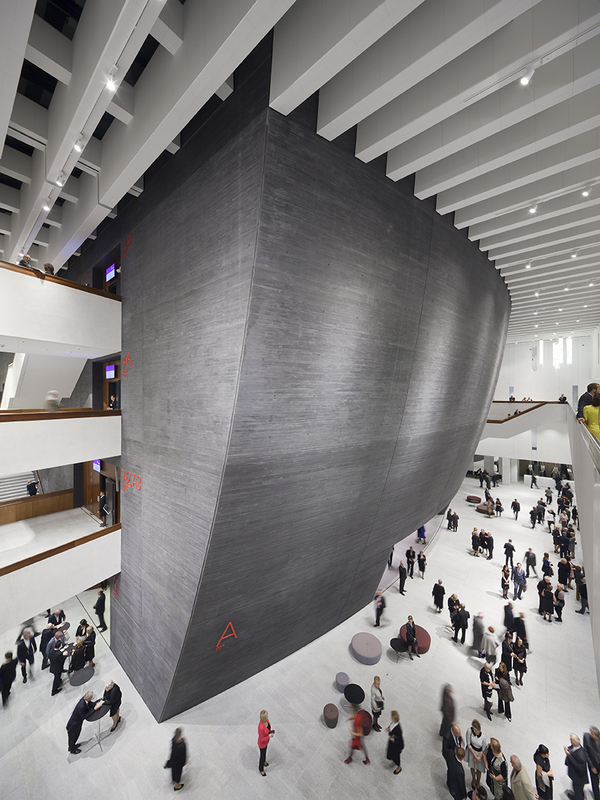 With its Colored Concrete Works initiative, LANXESS would like to provide architects with inspiration for their work. “Numerous buildings constructed every year around the world are colored with our inorganic pigments. From the various projects submitted to us as reference objects, or which IPG itself comes across, we select the ones that we feel are the most significant,” explains Pfeiffer. Go to www.colored-concrete-works.com to download the case studies or order the print issues. LANXESS is a leading specialty chemicals company with sales of EUR 8.3 billion in 2013 and about 16,700 employees in 29 countries. The company is currently represented at 52 production sites worldwide. The core business of LANXESS is the development, manufacturing and marketing of plastics, rubber, intermediates and specialty chemicals. LANXESS is a member of the leading sustainability indices Dow Jones Sustainability Index (DJSI World and DJSI Europe) and FTSE4Good.